Faulkner is using Smore newsletters to spread the word online. The law library will be offering extended exam hours (along with coffee) from November 30 through December 11. 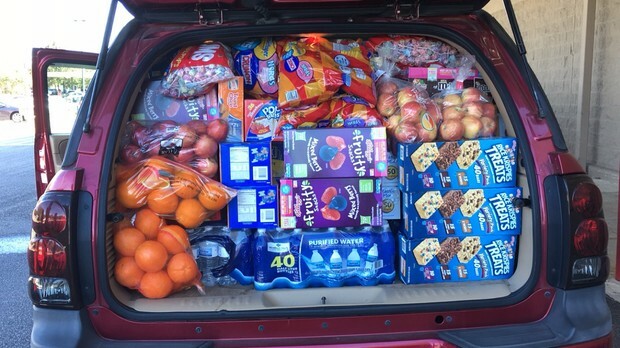 Thank you to the Student Bar Association for providing snacks during exams. Snacks will be available in the Atrium throughout the exam period. 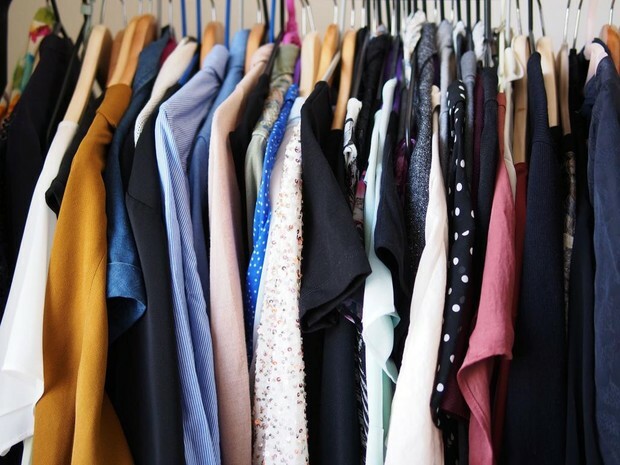 The Women’s Legal Society is sponsoring a clothing drive for the Family Sunshine Center. Please help someone in need this holiday season by donating clothing items that you cannot or do not wear. Items should be in good condition. Donations can be dropped off starting from now through Friday, December 4 in the bins located in the Atrium and outside of the Coffee Cup. If you have any questions, please check with Michelle Ray (lisa.ray@faulkner.edu). The Women's Legal Society (WLS) invites all Faulkner Law students, faculty, and staff to the Family Sunshine Center's Client Christmas Party on Sunday, December 6, 2015. This is an opportunity to help serve food. The Christmas Party will be held from 4:00 - 6:00 p.m. at the Down the Street Cafe, located at 2741 Zelda Road, Montgomery, Alabama. The members of the WLS hope that you will join them for this community service opportunity. If you have any questions about the event, please check with Michelle Ray (3L) (lisa.ray@faulkner.edu). 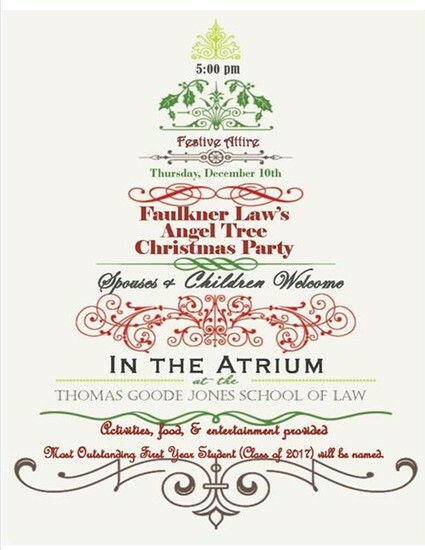 All law school students, faculty, staff, and their spouses and children are invited to attend the Faulkner Law Angel Tree Christmas Party on Thursday, December 10th at 5:00 p.m. If you plan to attend, please RSVP at this RSVP link by Monday, December 7th at noon. The Christmas party is a wonderful time to join in celebrating and interacting with the children from the community, as well as children of the faculty, staff, and students. We will have snacks and drinks, as well as games for the kids, the reading of The Night Before Christmas, a special early visit from a jolly surprise guest, and the naming of the Most Outstanding First Year Student (Class of 2017). We hope that you will all join us for this special time before we all part ways for the Christmas Break. Christmas is coming soon! During this holiday season, Phi Alpha Delta (PAD) and the Student Bar Association (SBA) are partnering with Angel Tree®, A Program of Prison Fellowship®, to help twenty-seven children in the Montgomery area have a memorable Christmas. Angel Tree® works by connecting incarcerated parents with their children through the delivery of Christmas gifts given on the parents’ behalf. Over the next week, gifts will be collected for these children. Our goal is to provide two gifts to each child. PAD and SBA ask that students, student organizations, faculty, and staff consider helping to ensure a little holiday joy for these children. A HUGE thank you to everyone who has already purchased gifts for the children. Many of the gifts have already been purchased! There are still some gifts that need to be purchased. We are inviting the children and their guardians to join us at the Faulkner Law Christmas Party on Thursday, December 10th to pass out the gifts and share the joy of the season. 1. Sponsor a family, a child, or a gift. All the children’s incarcerated parents have created Christmas wish lists. To make sponsoring a family, child, or a gift easier, we have combined all those wish lists on a Walmart gift registry, First, go to this registry link to find the “list” of requested gifts. It is our goal to fulfill all of the wishes. These gifts need to be delivered to the law school (either by hand or mail), unwrapped, by Friday, December 4. This deadline allows us to fill any gaps and ensure that every child’s needs are met. Online Purchases: If you buy online, all you need to do is click this registry link, select the gift you would like to give, and then hit the “add to cart” button. Doing so directly from the list will mark the item as purchased. You then have the option to ship the item directly to the school or you can bring the item to the school. In Store Purchases: If you plan to buy in store, first print out the registry list found here. On the top of the list, there is a bar code. When purchasing a gift from Walmart, take a recently printed registry list with you. The cashier can scan the barcode and then the item will be marked “fulfilled” on the list so no one else purchases it as well. If you purchase in person, please double check that it did mark “fulfilled” and if it does not, please let a PAD or SBA Executive member know so we can fix the issue. Gifts will be stored in the SBA office. If no one is available in the SBA office, please see Elizabeth Clements in the Deans’ Suite and she will hold the item until a SBA member is available to move the items. 2. Donate money: If you are unable to sponsor an entire gift or are not able to shop for a gift, you may still contribute to the Angel Tree project in a monetary way. Please see a PAD or SBA board member. They will be happy to put your monetary contribution with donations for the presents and wrapping supplies and give you a receipt for your contribution. No amount of donation is insignificant. All donations are appreciated, as we have taken on a large goal for our first year to participate. 3. Volunteer time: If you are unable to financially contribute or want to also help in a more hands on role, we will be asking for volunteers on Tuesday, December 8th from 5 – 8 p.m. in the Mitchell Conference Room to help wrap presents and put the finishing touches on the event. On behalf of PAD and SBA, we thank you all for your continued support of our organizations and Faulkner Law. We truly appreciate how great of a semester we have seen and are looking forward to ending it by helping the community and getting to celebrate Christmas as a whole. 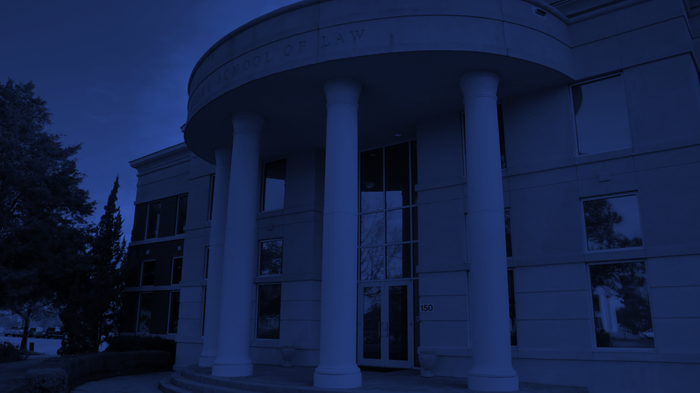 Every year, the Most Outstanding First Year Student Award is presented to the first year student considered most outstanding based upon the student's cumulative GPA, professional character, and contributions to Thomas Goode Jones School of Law and Faulkner University. It is presented in honor of John M. Patterson, the former governor of Alabama and retired Alabama Criminal Appeals Court Judge. 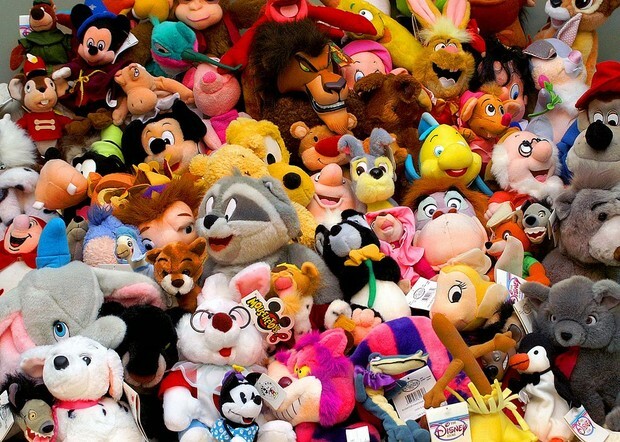 The nominees will be recognized and the recipient of this award will be announced at the Faulkner Law Christmas Party on Thursday, December 10th at 5:00 p.m.
Law Students for 2nd Amendment and JPILF are partnering together to collect new and previously loved stuffed animals. They will be donated to the local domestic violence shelter and hospitals close to Christmas. Donation boxes will be by the elevator in the Atrium and outside the Coffee Cup. Collection efforts will stop after finals. If you have any questions, please check with Michael Shorey (2L). Thank you in advance for participating and spreading joy to children this holiday season. The Montgomery County VLP sponsors a FREE community legal clinic on the 1st and 3rd Tuesday of each month, from 3:00 pm-5:30 pm. The clinic is held at the Head Start Educational Building at 1100 Adams Avenue in Montgomery. Gain hands-on experience and network with local lawyers as they answer legal questions about a variety of civil legal issues. Law student volunteers assist with client intake and observe meetings between lawyers and clients (with client consent). For more information, visit http://www.montgomeryvlp.org.